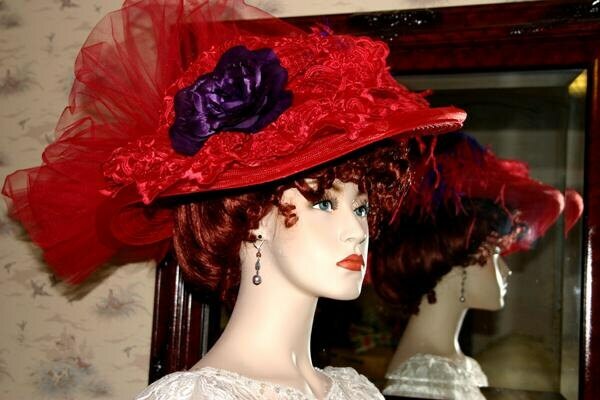 Edwardian Hat, Red Kentucky Derby Hat "Miss Red Crystal Fairy V" is made of red designer horsehair and the brim measures a full 18 inches in diameter. It would look beautiful for that special tea party, church, wedding or Easter! 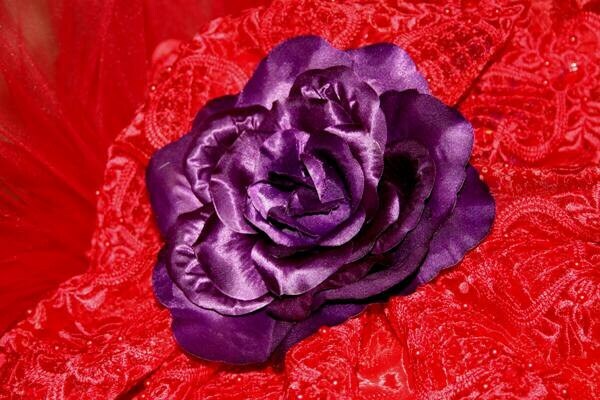 It's adorned with a huge purple silk rose. 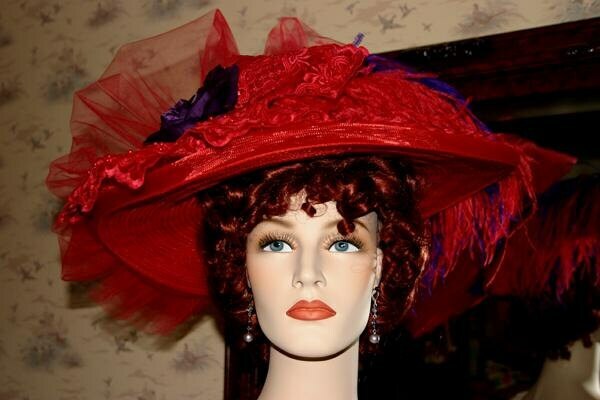 The hat band is beautiful almost iridescent red lace. Delicate embroidered red organza is the rosette behind the rose; the embroidered organza is accented with simulated pearls and sequins. 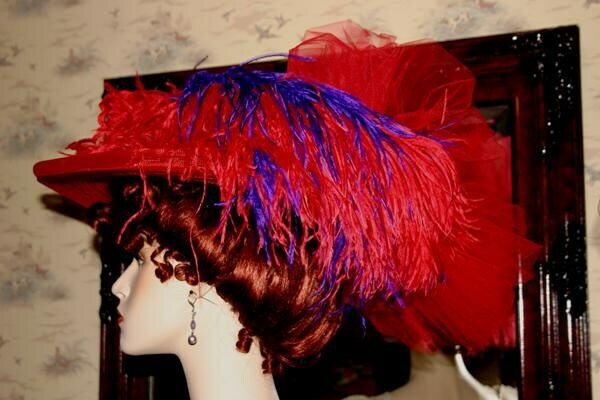 There's two luscious hand dyed from Spain deep ostrich plumes in purple and red sweep across the front and side of the hat. 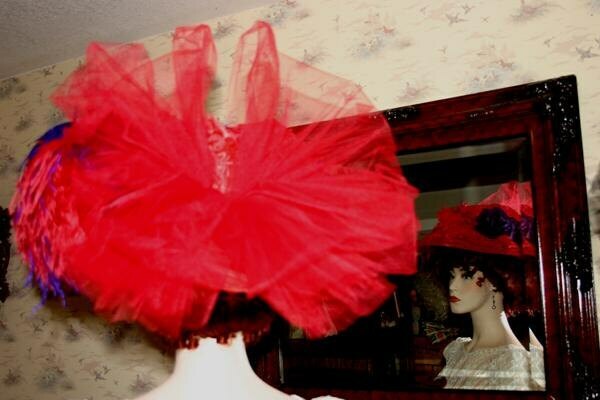 The back has a really gorgeous red tulle bow. This hat is will turn heads anywhere you decide to wear it!